To everyone out there, have you played Dear Esther? I would assume most of you have – the prolific surrealist piece developed by The Chinese Room is still a free download on PC’s and almost necessitates a name drop in every “Games as Art” conversation. Perhaps the game’s brevity and linearity fooled players to thinking it is much simpler than it really is. And as perhaps the first “walking simulator”, most players will likely write off this game as a cultural footnote compared to titles which have used ideas from this game to tell much more potent stories. Related reading: Our review of the PC release of the game from back in 2012. It is with these assumptions that I came to Dear Esther: Landmark Edition, seeing re-release on the PS4. I’d done two runs of Dear Esther on PC before and yet, when playing through again and listening to the developer commentary on Dear Esther: Landmark Edition, it became readily apparent that I have not properly played Dear Esther. This is a game which requires multiple playthroughs and yet never tells you to do so; it’s a game which invites itself into your mind and forces you to think about it, and I would wager that even people who have completed and enjoyed the game on first release might find something new in the Landmark Edition. 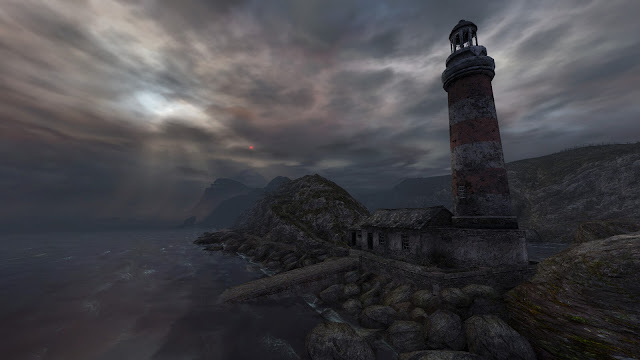 For those who aren’t familiar with Dear Esther, the title first saw light as a mod made from Half Life 2, featuring a lonely protagonist walking through a Hebridean island. Things are just a little bit off: there are mathematical and scientific diagrams carved into cliff faces, pillars and trees seem a little too orderly for them to be naturally occurring and the protagonist narrates a vague backstory about some people he once knew, including the mysterious Esther. 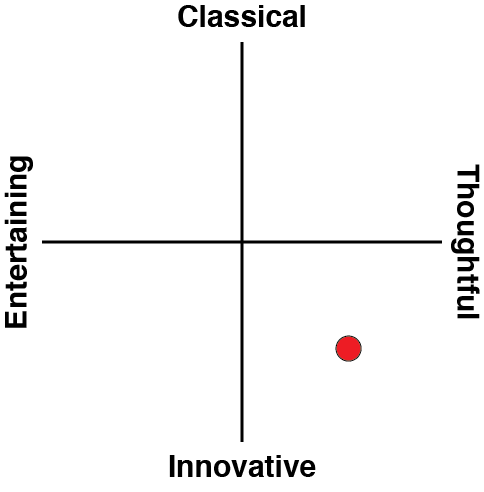 It’s a game with a dense, rich premise backed by incredibly simple gameplay. All you can do is walk, and look. There are no people to talk to, no items to collect, no conflict of any sort and no written text. The simplicity has led to many arguing that this isn’t even a game (except that it is, of course), and yet the simple exterior hides a deep and intricate set of systems that ensures the experience is a uniquely thought provoking one for every player. 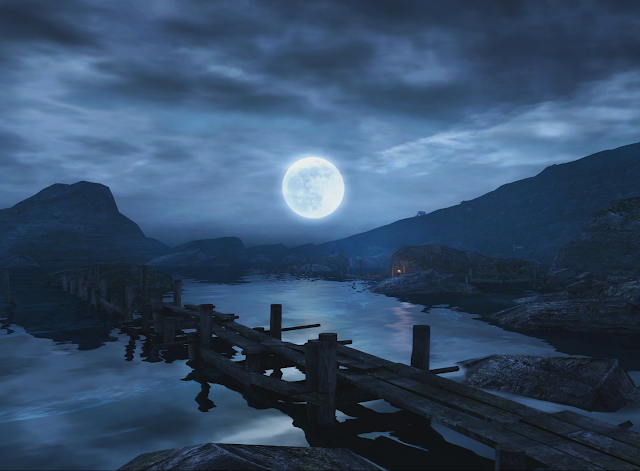 Because even though Dear Esther is nothing but walking, it is captivating all the same. The environments are breathtakingly expansive, backed by an atmospheric, wistful soundtrack that perfectly echoes the existential reflections of the narrator. It’s not a relatable story, filled with esoteric scientific and literary references, but the key themes of loss and regret pierce through the player with every step taken. It’s the focus on emotional resonance which made the original Dear Esther so much of a must-play, making it an hour long treat for the senses that leaves you thinking after it’s over. If you’d be interested in the design of an experience like Dear Esther, the developer commentary included with the Landmark Edition is one of the most detailed I’ve ever experienced. A lot of the time I found myself walking to the next node before the developers had stopped talking, and then having to wait to start the next snippet of commentary. Every aspect of the game’s design from the art, soundtrack, technical limitations and story are discussed, which means that players who want to find out more about this game will be delighted by this addition. The team at The Chinese Room have some fascinating insights into game development, such as how to convey story through landscape design and how to structure dynamic music changes seamlessly into the player’s experience. There is a lot to be learned but admittedly it has to be played when in a certain mood, since as artists the developers are audibly proud of their work. The commentary was what made the game newly beautiful for me. I got to understand the flow of the game in the eyes of the developers; I saw one hill as a triumphant climb and one building as the shattered remnant of a painful memory. I learned that the island was a constantly changing experience between playthroughs and I understood how random chance made everyone’s experience just a little different. For someone who loves art and knowing about the artist’s mindset while creating their work, Dear Esther Landmark Edition is an absolute treat. It offers a rare insight into the mind of the artist while you get to experience the art, and the extra exposition does wonders to really solidify the philosophical questions raised in the game. Related reading: The Chinese Room's followup to Dear Esther, Everybody's Gone to the Rapture, is even better. Matt's full review. As for other changes in the PS4 version of the game, graphical fidelity has improved significantly from the PC version, moving to Unity from the Source engine, but it’s still not what I would consider a well rendered game. 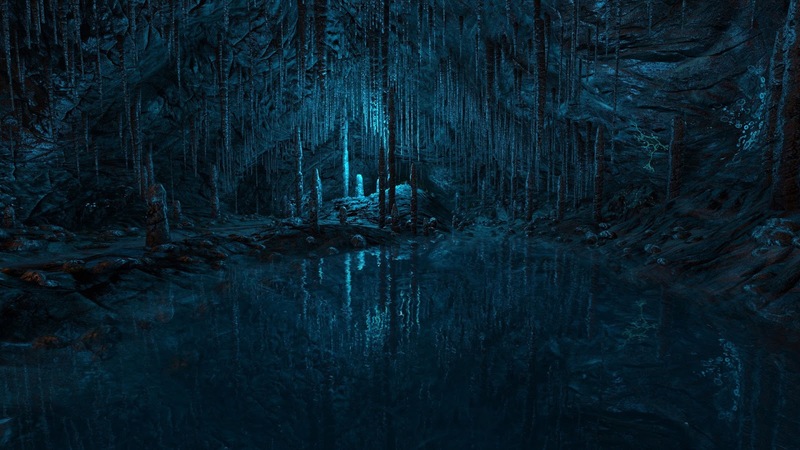 Water is rendered much more beautifully and the sequence in the cave sequences is made more enchanting with updated lighting and particle effects. The structure of the game is otherwise completely unchanged so if you dug to the bottom of the island on PC then there’s not much more to do on the PS4. It’s important to note too that the director commentary is available on the PC edition as a free update from the base game; the purchase of the Landmark Edition isn’t so much for the commentary as it is to support artistic games on the console market. Say what you want about Dear Esther, but The Chinese Room really know how to respect its legacy. Almost a half decade on since it first saw light as a Half Life 2 mod, Dear Esther has captured the hearts and minds of players, effectively started a genre and polarised the gaming community perhaps irreversibly. And the developers absolutely know this as they relentlessly justify their artistic choices in the commentary. 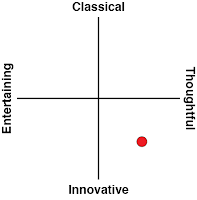 This game is rich and thought provoking in its design, hiding its depth behind simplicity. It deserves an hour of your time.